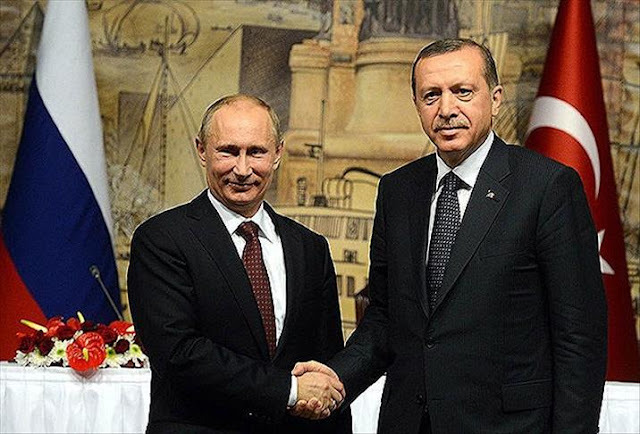 Turkish President Recep Tayyip Erdogan with Russian counterpart Vladimir Putin. When Donald Trump took office in January, a popular question was drawn who among world leaders would fill the vacuum created by Washington’s erratic of protectionism stance, who would step up and take advantage? Would it be that reluctant liberals Angela Merkel? Or this is a right moment of China’s strong man, Xi Jinping whose also share the status and power on the world stage that he has been assiduously consolidating at home? Almost a year on, there’s no clear-cut answer some even speculate that the Wahhabi kingdom of Saudi Arabia may assert its dominance to influece the mid-east and the world at larger, however the Saudi royal leadership suffered severely from ignoramus autocratic caricatures that heralded some regional indifference and internal infighting in monarchy hierarchy. King Salman has caused significant upheaval in the kingdom by taking the controversial step of totally overhauling Saudi Arabia’s line of succession and appointing his son, Mohammed bin Salman, as crown prince. Except the Middle East – somewhere there hail another individual who raised through a mixture of opportunism and cunning strategies to avail himself like no other. And this individual is no another than Vladimir Putin. 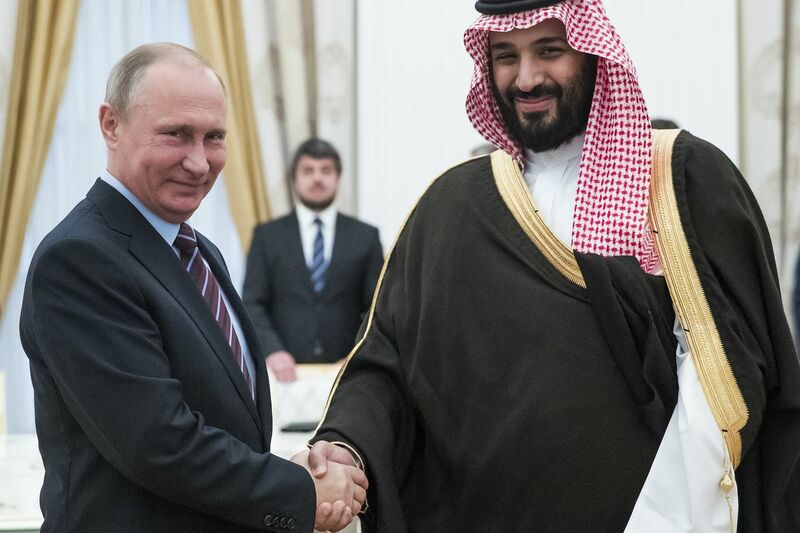 Russian President Vladimir Putin and Saudi Arabia’s Prince Mohammed bin Salman. Evidently Russia’s new strength in the region is very powerful superseding Saudi Arabia, which was regarded as headfigure of all Emirates include the Mid-east states: The Israelis and Turks, Iranians, the Egyptians and Jordanians plus the Wahhabis they’re all beating a path to the Kremlin in the hope that Vladimir Putin, the new master of the Middle East, can secure their interests and fix their problems.Until very recently, Washington stood alone as the go-to destination for such leaders. Vladimir Putin conducted a whirlwind tour of the greater Middle East region this past weekend. For some observers, it was a showcase for Russia’s growing influence in the region. From Syria, Putin flew to Egypt, where he and President Abdel Fattah al-Sisi agreed to resume direct tourist flights between their countries, which was suspended after the bombing of a Russian airliner in the Sinai in 2015, and forged a deal for Russia to build a $30 billion nuclear power plant in Egypt. Turkey has now aligned fully with Russia and Iran in a plan to de-escalate the conflict. In Ankara, Putin’s final stop on Friday where he spent a dinner with President Recep Tayyip Erdogan to make progress on the sale of an advanced Russian S-400 air missile defence system to Turkey. The Putin-Erdogan have met, at least seven times this year, which showed how their relations have recovered in the year since the assassination of the Russian ambassador in Turkey and the two years since Turkish forces shot down a Russian fighter jet. Turkey is a key member state in NATO as it straddles the border between Europe and Asia and acts as a key broker between the West and the Islamic world. So, if Turkey quit it is a big blow to the western alliance. Because most of NATO's future operations will probably be in Muslim countries, for NATO to sustain a façade that it is not an organization against Muslims, it must have a large Muslim country like Turkey as a member. NATO cannot afford to lose Turkey. According to Ishaan Tharoor, “he exhibited the kind of clever strategic policymaking that the US is simply not doing in the region.”Tharoor is a foreign affairs writer with the Washington Post and recently wrote “Putin is outplaying Trump in the Middle East.” “Overall,” says Tharoor, “what you’re seeing is Russia steadily coming in and re-building ties, asserting its influence, being an active player in the region at a time when the US policy in the Middle East is incredibly inconsistent and incoherent.” Two years ago, Russia intervened militarily in Syria and contrary to US government and expert opinion, Putin did not find himself in a quagmire. Mr. Putin ensured the survival of his close ally, the Syrian president Bashar al-Assad. When Russia first entered the conflict in 2015, the then US secretary of defence, Ash Carter, said Putin was heading into a quagmire with a strategy that was “doomed to failure”. Instead, he rescued the once-failing ally, Bashar al-Assad, and made him once again the most powerful player in the country. On the contrary, Moscow re-oriented the war in its favour, suffered no noticeable losses, showcased its military capabilities and is set to scale down its operation in time for the Russian presidential election next March 2018. Russia has now inserted itself as a peace broker in Syria. It’s secured a massive energy deal with Egypt and is cooperating with Turkey on a host of issues. Russia is also posing as a champion of other oil producers in protecting prices. Russia now has a naval base in the Mediterranean in Tartus, a warm-weather port in Syria. It also has an airbase nearby. Now there’s talk of the Russian air force securing basing rights in Egypt. It already has access to an Iranian base. But this Russian effort in the Middle East is not so much about hard power, says Tharoor. “For Putin,” he explains, “it’s all about domestic optics more than anything else. 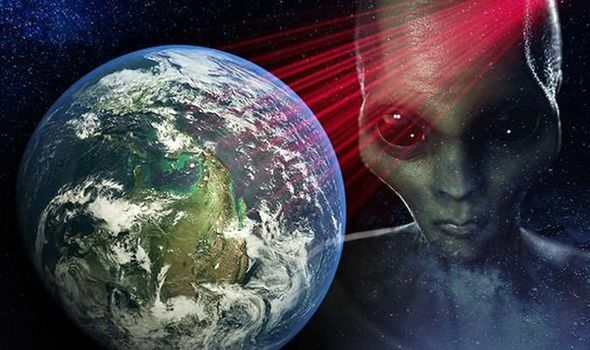 He has staked his political legitimacy on being this world-historic figure who’s returning Russia to prominence on the world stage.” The Russians do not seem to have a grand strategy, but they act rather opportunistically. “They’re just playing their cards well,” says Tharoor, “and the US, which has a much greater hand, is not playing that hand that well. ” Russia saw an opportunity when the Obama administration deliberately stepped back from the traditional US role of acting as the policeman in the Middle East. “And then you have a White House now,” says Tharoor, “that is playing all sorts of different cards that don’t all really add up.” He highlights the US involvement in Saudi Arabia’s rivalry with Iran and policies that antagonize Muslims, while the announcement recognizing Jerusalem as the capital of Israel that, Tharoor notes, “is confusing a lot of people and created a whole new round of diplomatic ferment.” Russia, by contrast, appears as a consistent, reliable and dependable player that has demonstrated a willingness to stand by its friends. Washington’s wealth, and military mightiness perhaps misled them to thought that America's global relationships could be remains indispensable power in the Middle East and they could choose whatever foreign policy suit them, without repercussion. US dominance in the region has been totally outmanoeuvred by a resurgent Russia. Across the region Russia emerge as a champion in resolving disputes and conflicts at the time when the United States is showing little interest, and even less coherent strategy. Russia thoroughly outflanking Americans and cultivating new alliances to expanding its trade (not least in arms) and spreading its influence on geopolitics not even seen since the collapse of the Soviet Union. The downing fall trend pre-dates Trump presidency: George W Bush’s wars in Iraq and Afghanistan damaged the US’s standing in the region and caused both the American system and public to tire of foreign entanglements. This was also exacerbated by Barack Obama’s pivot to Asia and his failed Syria strategy that took up a great deal of his administration’s finite energy in handling the most hot spots that tearing apart Islamic nations. But the complete re-bunk of U.S from Mid-East talks has accelerated under Trump –a president whose commitment to the “America first” the protectionism credo that reflecting only his ignorance of the world around him. In just a few years Putin has seized on that space and skilfully positioned himself as a regional kingpin. Increasingly, the Israelis, Turks, Palestinians, Egyptians and Jordanians are beating a path to the Kremlin as a place where their problems can be fixed.Putin maintains his strong alliance with Iran, yet he is also on good terms with its arch-rival Saudi Arabia and Israel. In October, King Salman became the first Saudi monarch to visit Moscow, and this demonstrate how good Putin as being a unifer between hostiles and enemies. Turkey plan to open an embassy in East Jerusalem, President Tayyip Erdogan said on Sunday, a days after leading calls at a summit of Muslim leaders for the world to recognize it as the capital of Palestine in defying Trump's slur. Palestinians want the capital of a future state they seek to be in East Jerusalem, which Israel took in a 1967 war and later annexed in a move not recognized internationally. The Muslim nation summit was a response to U.S. President Donald Trump’s 06 Dec. 2017 decision to recognize Jerusalem as Israel’s capital. His move broke with decades of U.S. policy and international consensus that the city’s status must be left to Israeli-Palestinian peace negotiations. Erdogan said in a speech to members of his AK Party in the southern province of Karaman that Turkey’s consulate general in Jerusalem was already represented by an ambassador. “God willing, the day is close when officially, with God’s permission, we will open our embassy there,” Erdogan said. Jerusalem, revered by Jews, Christians and Muslims alike, is home to Islam’s third holiest shrine as well as Judaism’s Western Wall - both in the eastern sector - and has been at the heart of the Israeli-Palestinian conflict for decades. Foreign embassies in Israel, including Turkey‘s, are located in Tel Aviv, reflecting Jerusalem’s unresolved status. A communique issued after Wednesday’s summit of more than 50 Muslim countries, including U.S. allies, said they considered Trump’s move to be a declaration that Washington was withdrawing from its role “as sponsor of peace” in the Middle East.